Alert: It has come to our attention after publishing this story that the authenticity of the first two watches are questionable. This information comes from a highly reliable source. This first Rolex GMT Master is an EXTREMELY RARE Pan AM Model Number 6542 from 1959. It is pictured above has a Rolex Oyster Bracelet and the one below has a Rolex Jubilee Bracelet. One of the things that makes it so rare is the WHITE Dial. Rolex made very few of these. From talking to some of the top Rolex experts on earth, the consensus is that approximately 100 of these beauties were ever made. Pan American Worldwide Airways only purchased the white dial GMTs for their executives, while the Pilots wore black dialed GMTs. I call this watch the "Vanilla Coke." I think the bezel on these early GMT's had a clear epoxy coating on them. 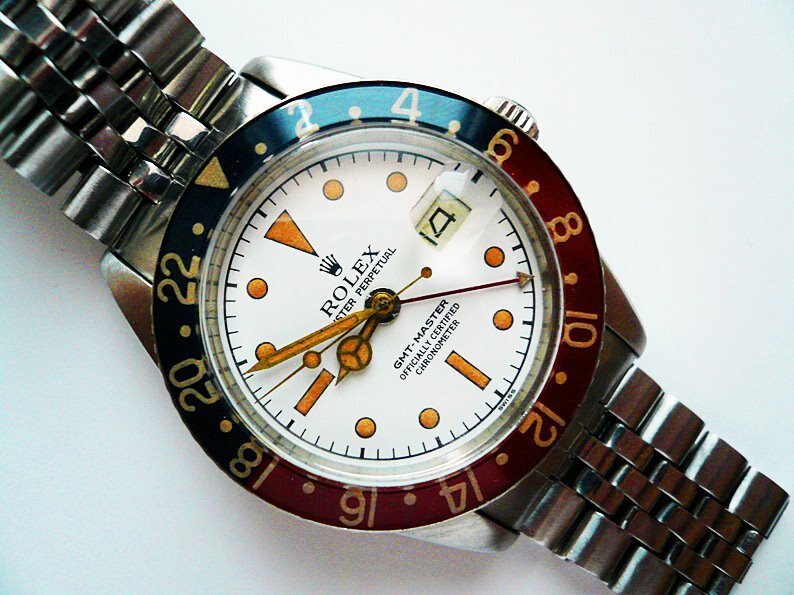 The modern GMT Master pictured below has been customized with a White Rolex Explorer II Dial. 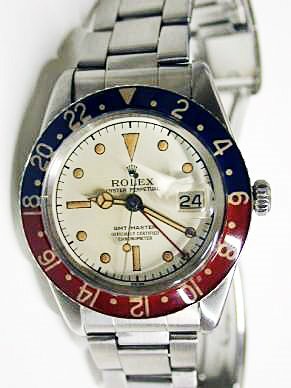 I like this color combo and think Rolex should consider offering it again. 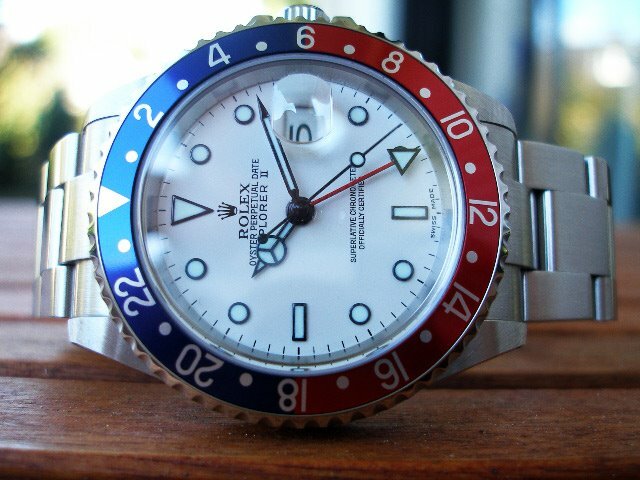 I call it a "Vanilla Pepsi GMT."